Having a baby is one of the most exciting, special and sometimes scariest things you will ever do. My main aim is to capture your beautiful new baby in the most precious time in their life when they are still newborn. I am also recognised by the Guild of Photographers at providing consistent professional images, and i am very proud to have won many awards for my work. Fully trained in the safe posing of newborns and registered with BANPAS, you can rest assured that your baby is in really safe hands. I am passionate about what I do and put my heart and soul into every shoot, therefore capturing timeless images that will be admired for a lifetime. As a mum myself to two beautiful girls, I’m a natural at soothing and shushing, literally all my clients ask me to go around to their homes at 3am in the morning as they struggle to get their babies off to sleep. Just call me the “baby whisperer”. When is the best time to book my newborn photo shoot? I normally advise booking your newborn session just after your 20-week scan. But as I only book in a limited number of newborns each week, to allow time to move sessions around to be flexible with due dates, I can often fit families in at short notice, so if you already past your 20-week scan please do still get in contact to check my availability. How should I prepare my baby for the shoot? A sleepy baby is much easier to pose in the beautiful positions you see here on my website – and with that in mind, I advise you try and keep baby awake for as long as possible before our shoot together. Babies can take around 20 minutes to fall into a deep sleep, so I advise you to feed your little one just before you leave to come to the studio, meaning they should be nice and settled when you arrive. If this is not practical please do not worry, upon arrival you will be welcomed into my purpose built studio where you will be encouraged to relax and take your time. Your baby is in the driving seat for your session and if and when they need feeding you will have all the time and comfort that you need. It is best to dress your newborn in a baby grow, with no vest underneath, and cover them in a blanket to keep them warm and cosy. It will be much easier for us to remove their outfit when you arrive with minimum fuss. Not much at all except your gorgeous family! My studio is filled with a wide variety of beautiful blankets & cute props. Newborn photo shoots are totally dependant on your newborn. On average the sessions can take around 3-4 hours, this is so we can allow plenty of time to settle your baby in between poses, and gives plenty of time for feeding, changing etc. What if my baby cries or won’t sleep at the session? I don’t want you to worry about this at all – at some point, during our session, your baby will cry & it’s totally normal. At all times I take my time to settle your baby to ensure they are deeply sleeping before we start any poses. It’s also ok if your baby doesn’t sleep. I have a number of magic tricks to get them in beautiful poses to capture those breath taking awake shots. I can sooth a baby into a deep sleep up to about 6 weeks of age, but the best age for your newborn would be between 5 and 12 days old. Do newborn photo shoots have to be in the first 2 weeks? While it’s desirable to confirm your session date within the first 2 weeks of your baby’s birth, I’m extremely comfortable with working with babies up to 6 weeks old and my patience as a baby photographer is what set’s me apart when many other photographers would not want to photograph an older baby. If you have any other questions about booking a newborn photo shoot – send me an email I’m aways here to help any way I can. 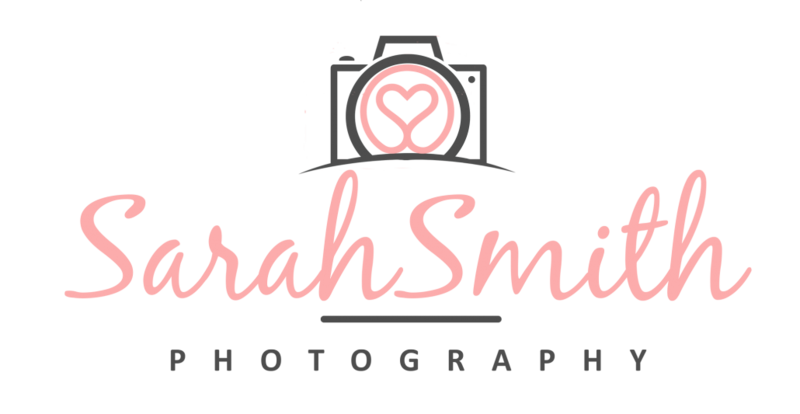 After pursuing the internet for an Essex based photographer, we were impressed by the quality of work on Sarah’s website and having now received our finished photos she didn’t disappoint. Sarah was wonderful with our little boy and he immediately relaxed with her allowing us to enjoy the photoshoot and get some excellent snaps that we will treasure forever.